There isn’t a better indication of Samsung’s desperation to defend its position in India’s budget smartphone market than the fact that the company chose to launch four new smartphones in the country at the same event. 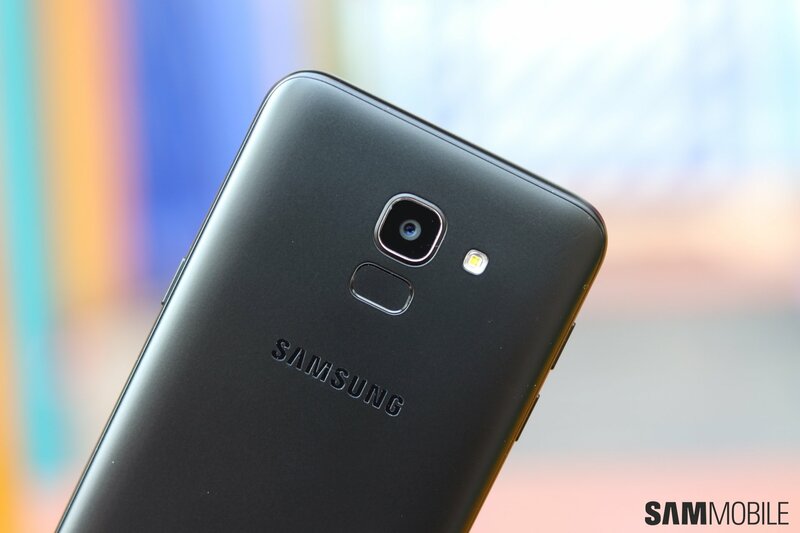 While the Galaxy A6 and Galaxy A6+ are regular and Plus variants of the same phone, the Galaxy J6 and Galaxy J8 couldn’t be further apart, if only because the latter isn’t going to be on sale until July despite going official here in May. All of these phones feature Infinity Displays for a larger screen-to-body ratio, and the Galaxy J6 is the cheapest of them all, coming in below the price tag of Samsung’s mainstream Galaxy J5 smartphones for the base variant. 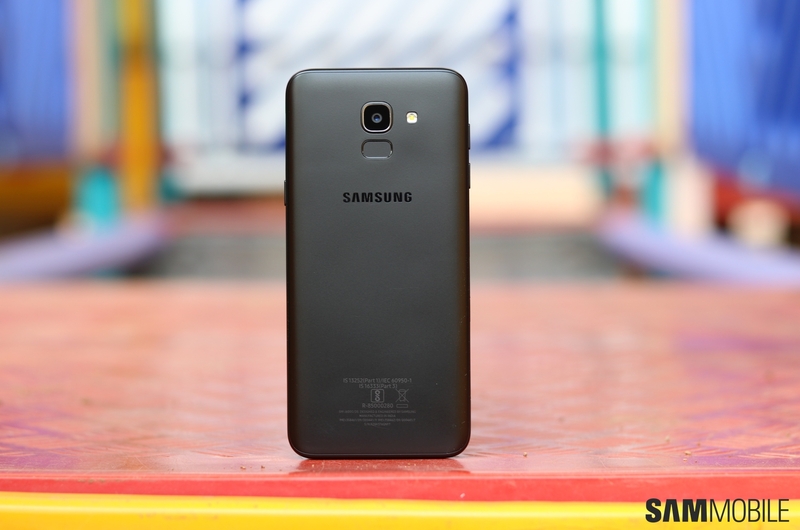 The base variant – with 3GB of RAM and 32GB of internal storage – is the one that we have gotten our hands on thanks to Samsung India. Other than the Infinity Display, the Galaxy J6 is a fairly generic J series handset from the Korean giant as far as the specs are concerned. But then again, an 18:5:9 display at this price point (Rs. 13,990, or $207) is reason enough for the J6 to stand out, and today we’re going to talk about our initial impressions of the device that introduces the Infinity Display to Samsung’s budget lineup. Let’s start with that Infinity Display. 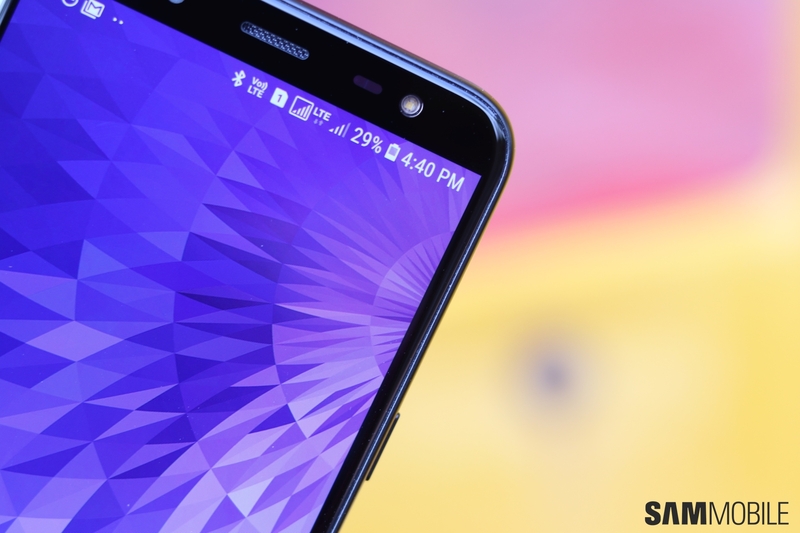 Thanks to the lack of curved edges on the front, the side bezels on the Galaxy J6 are practically the same as those on phones with regular 16:9 displays. Look at the image showing the Galaxy J7 (2017) and the J6 side by side to know what I mean. 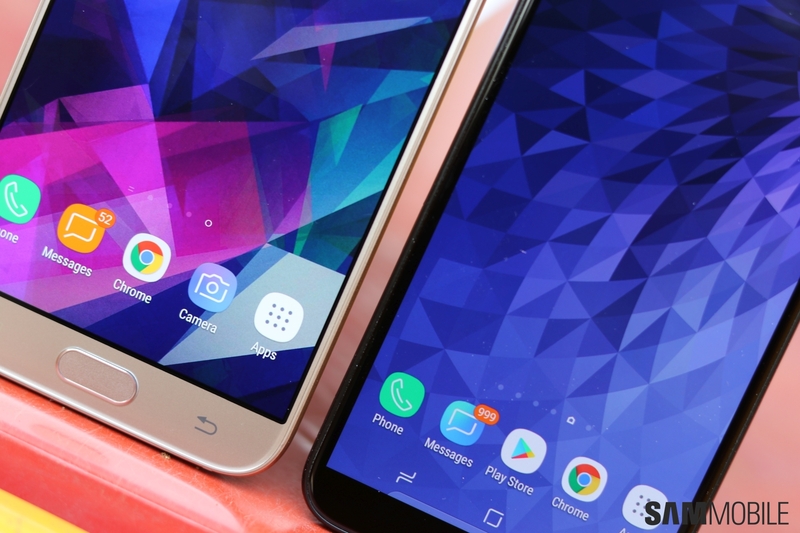 The bezels above and below the display, however, are rather small thanks to the removal of the Samsung logo and the home button. They aren’t as small as you will find on Samsung’s flagship phones, but overall, the Galaxy J6 feels quite compact with its 5.6-inch screen. The display is a Super AMOLED panel with a resolution of 720×1480 pixels (HD+), and I have to say it looks quite good. The colors pop without going over the top, and Samsung is giving us full control over the display mode. That includes the ability to choose the display’s color tone (cool or warm) and manually adjust the red, green, and blue values. There’s also no evident pixelation in regular usage. That’s probably because these 18:5:9 displays are narrower, so the lower horizontal resolution (720 pixels) doesn’t matter as much. And it’s a good thing Samsung has stuck to HD resolution here. The octa-core Exynos 7870 powering the Galaxy J6 isn’t the fastest chip around, and I have noticed that performance is pretty good on this thing as a result. As usual, one can’t give a verdict here as every phone is quick and smooth initially, so you will have to wait for our full review to see how the J6 holds up. The 3GB of RAM is a worrying factor given Samsung’s penchant for aggressive RAM management, but again, it’s too early to be certain. The Galaxy J6 features a unibody construction, which means you can’t access the battery. It’s not made of metal, however. The phone has a polycarbonate body that doesn’t feel as cheap as one would expect. That’s partly down to the phone’s weight, which feels just right. The J6 is rather slippery, though, and it has picked up a few scratches in only two days of usage. Not very confidence inspiring, so this is one budget phone that you will need to be careful with, especially if you buy the non-black versions. Also, the fingerprint sensor on the back isn’t that easy to reach for my average-sized hands. Samsung’s insistence on putting the fingerprint sensor right below the camera on phones with an Infinity Display is to blame. The 13-megapixel rear camera is placed slightly higher than, say, the camera on a Galaxy S8, which makes the fingerprint sensor’s placement a tad too high as well. It’s still reasonably within reach, but far from ideal. In departments such as camera, audio, and battery life, I’m afraid there isn’t much I can say right now. The 3,000 mAh battery seems capable of going over a day of moderate usage, but there are still a few apps and services that I need to set up, so the battery life figures are likely to change. I’m not expecting much from the 13-megapixel and 8-megapixel rear and front cameras, though it’s good to see Samsung is offering the new camera interface that debuted on the Galaxy S9 and Galaxy S9+. 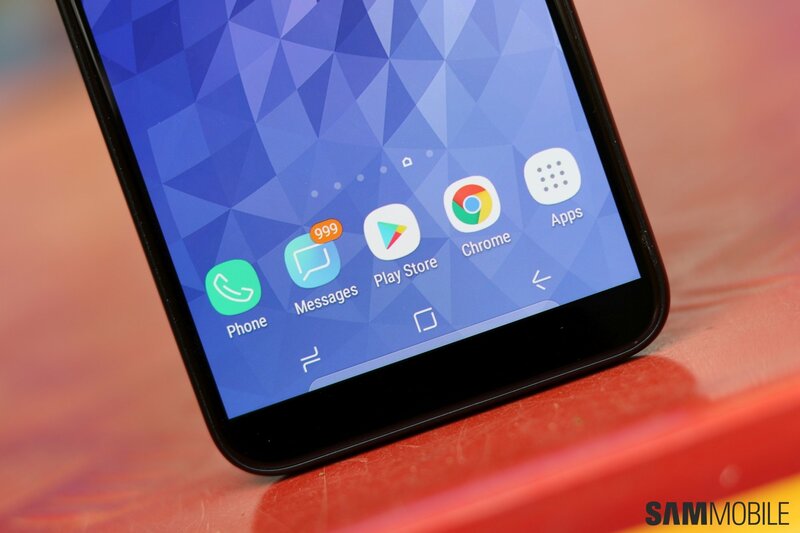 Of course, Android 8.0 Oreo is on board along with the Samsung Experience 9.0 UX, and our review unit comes with the April 2018 security patch out of the box. Naturally, the software features on the Galaxy J6 will be limited compared to mid-range and flagship Galaxy phones. Sadly, a few basic hardware features are also missing. There’s no ambient light sensor (so no auto brightness) and no notification LED (Always On Display isn’t available, either). The phone’s price is lower than Samsung’s mainstream Galaxy J5 and Galaxy J7 smartphones, as mentioned at the beginning of this article, but it’s high time the company stops stripping things like an ambient light sensor. 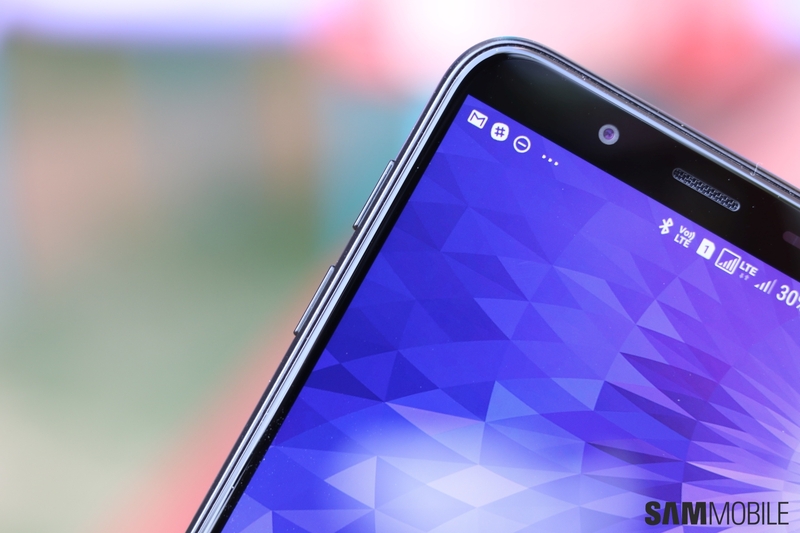 Whether the Galaxy J6’s overall user experience is good enough to make me look past the shortcomings is something you will find out in our review. The Infinity Display has made a good first impression and so has the phone’s performance, so here’s hoping those aren’t the only aspects that will leave me impressed over the course of the next few days. Cant we manually install always on display? Or there any chance that samsung will provide the same at the laters updates?